Hello everyone: I'm very happy to announce that I finally learned to work the new printer, mind you.....I'm still a bit apprehensive about certain features but all I wanted was to be able to re-size and print digital images. This sweet and endearing one is from Mo's Digital Pencil and it's called Mummu's Kissa, love this scene, the kitty rubbing against her leg, purring and she looking down at her furry friend with absolute love in her eyes. I didn't want to add a sentiment or even the word "FRIEND", I think this image shouts that word loud and clear on it's own. I printed the image on water color paper and actually let it dry overnight, I was concerned about the ink bleeding when I used some water colors and Prismacolor pencils. 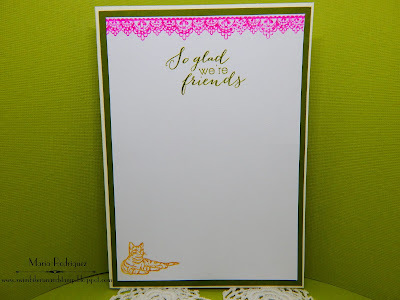 The sentiment is from a Power Poppy set called Sassy Succulents, the kitty at the bottom is from a retired Stampin' Up! set called "Sitting Here", the lace at the top is from another retired SU set called "Delicate Details". 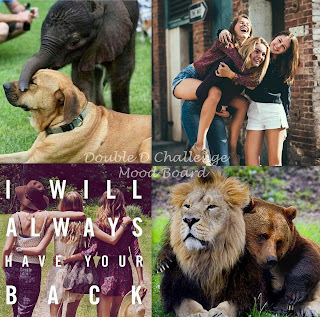 Double D Challenge the theme is FRIENDSHIP. 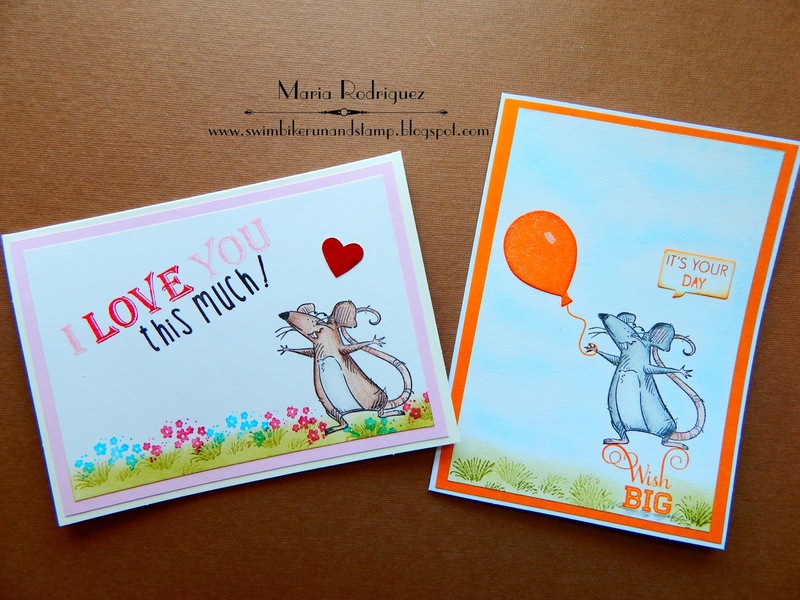 The Cutie Pie Challenge #122 "Delightful Digis"
Get Creative Challenges #68 "No Pattern Paper"
2 Crafty Critter Crazies Challenge #13 "Anything Goes with a Critter"
CCC Digi Creations Challenge #91 "Include an Animal"
Hello everybody: I have a couple of more cards for the awesome TWOFER CARD CHALLENGE #4. 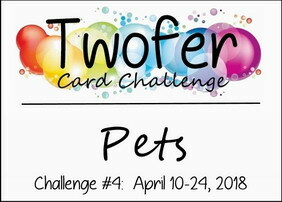 This time, the gals want to see cards with pets in them so, here are mine. I personally never had a rat for a pet but I know that they are kept for that purpose by some people and the Katzelkraft rats are some of the cutest. This image is from a stamp set called Les Rats de Ville and each image is just so darn fabulous. Here are some individual pictures of my cards. The first one is a Birthday card, stamped with Stazon black ink and colored with Prismacolor pencils. 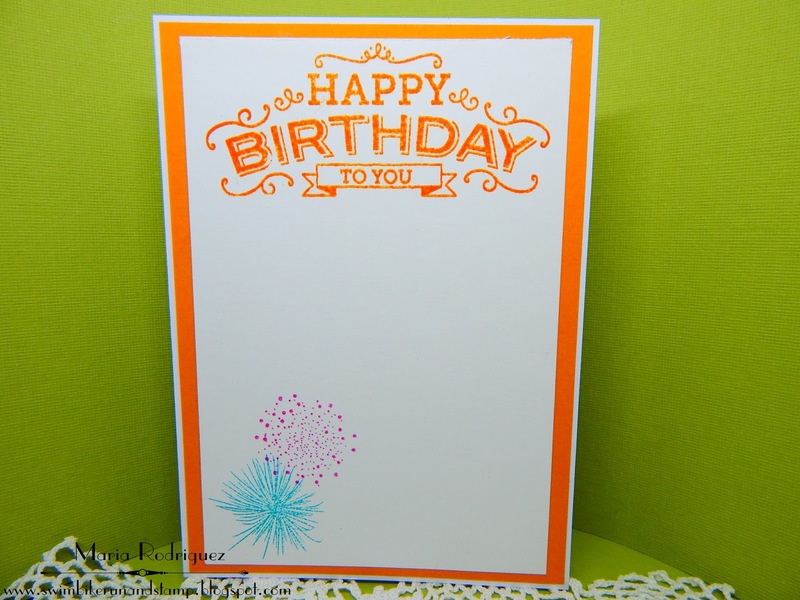 The balloon is a die cut and the sentiments are from a retired Flourishes set called "Pinwheels and Popsicles". 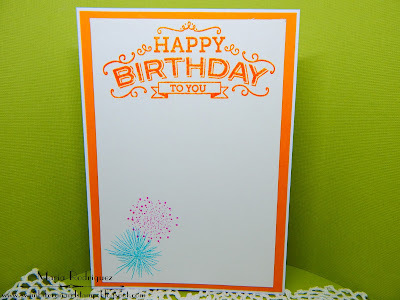 Sentiment is from Hero Arts called "Happy Today", fireworks from a set called PYROTECHNICS. 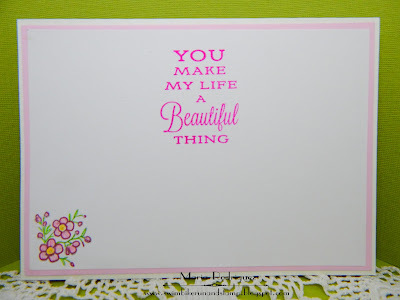 For my second card I made one that could be a Valentine or a "Just Because....." card. 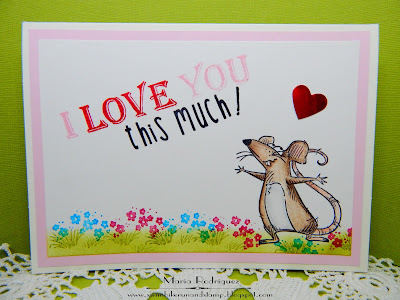 The sentiment is from Penny Black and I think the words "this much" are from a set by "Your Next Stamp", but it's so old I really can't remember. The grass and flowers are from Arts Impressions. And this is how the INSIDE of this card looks like. 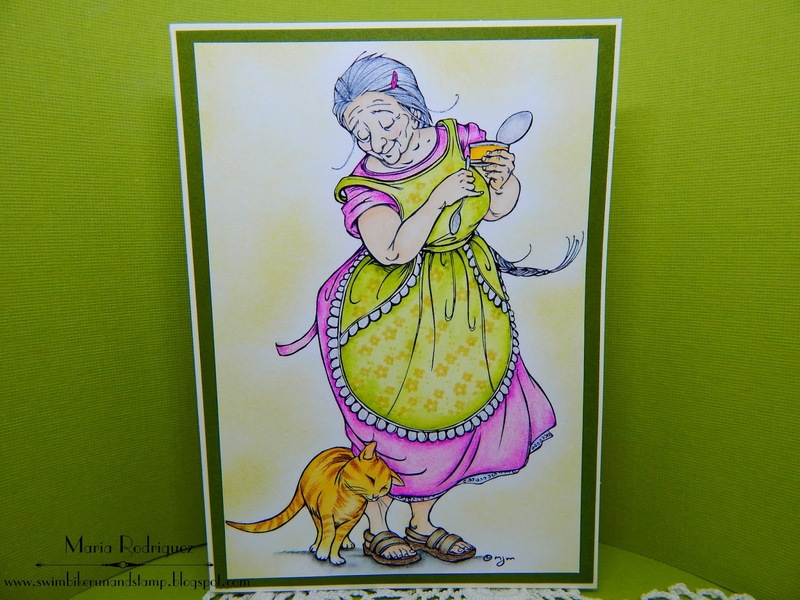 The sentiment and the little flowers in the corner are from a retired Flourishes set called "Picking Wild Flowers"
I'm entering this cards to the following challenges. 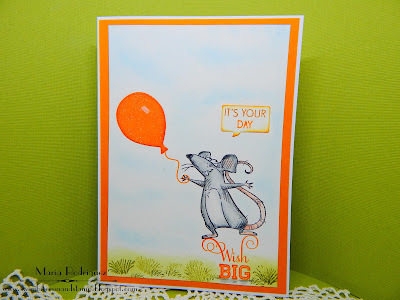 Mod Squad Challenge Birthday card with a Balloon in it. 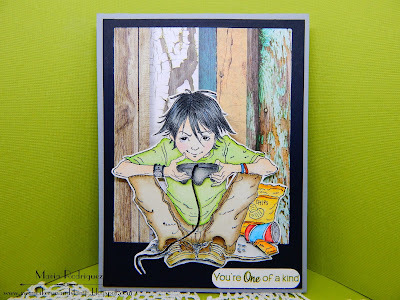 Everybody Art Challenge #423 "Use a Die"
2 Crafty Critter Crazies "Must have a Critter"
Hello everyone: The SHOPPING OUR STASH challenge has a new one for you to play with this week, our theme is "Hey Dude" which means "MASCULINE CARDS". 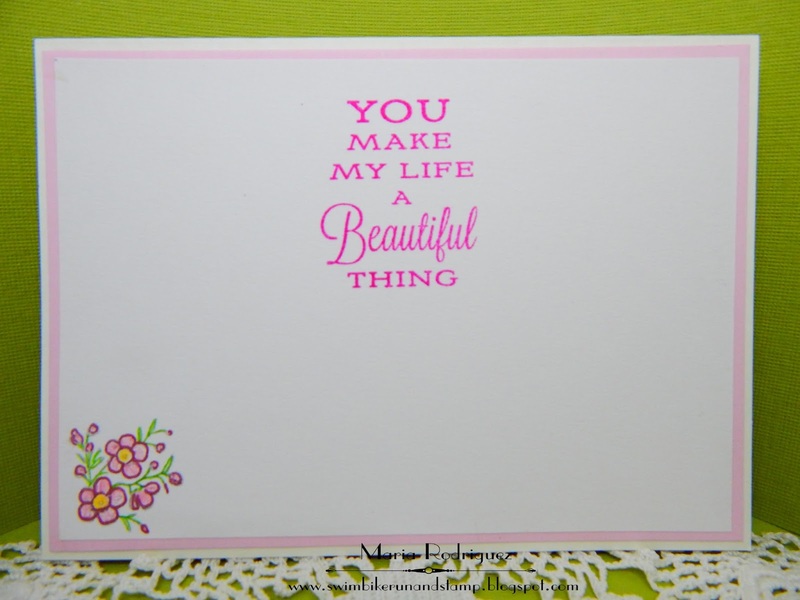 I must confess I always have a bit of trouble creating cards for guys, especially teens, oh my goodness!!! It's so hard because you can't really make a card with teddy bears or little trains anymore, ask me how I know this and I will tell you that, my grandsons grew out of the cute kid's cards a while ago so, I decided to use my one and only teen boy image from Penny Black called VIDEO BOY, as a rubber stamp and here is the link for the DIGITAL IMAGE, just in case you just want to print it anytime you need to, I just adore the intense look on this kid's face, totally concentrating on whatever game his is playing, I bet he is darn good at it too!! I stamped the image on water color paper with Stazon black in and colored with a few SU markers, his sweet face is colored with a Crayola marker that I treasure because it's the only marker that gives me the skin tone I want, I can make it darker for shading by applying a bit more where needed, I gave him a bit of blush on his cheeks with a cotton swab and a bit of red chalk. I colored his hair with my black Prismacolor pencil adding a bit of the white pencil for the shine. The pattern paper is from MODASCRAP and it's called "Wood Effect", which apparently is sold out at the moment so I hope they bring it back because it's beautiful. 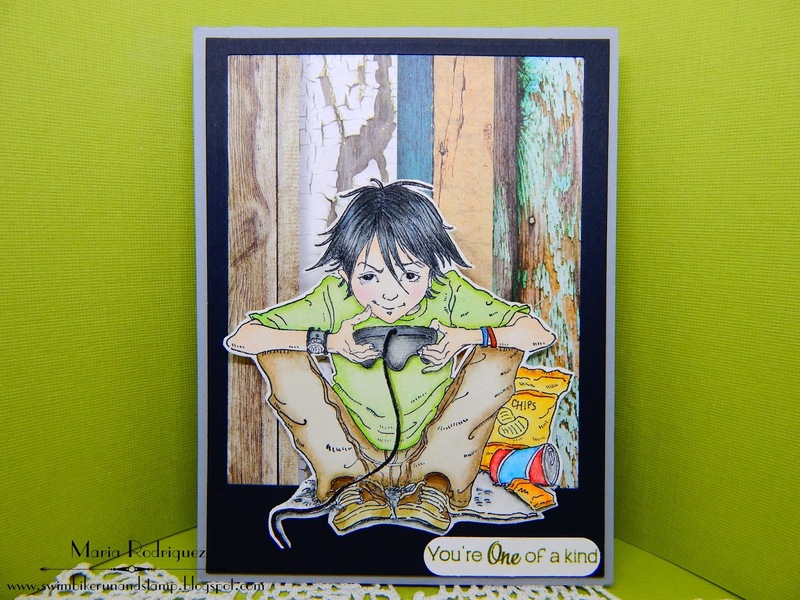 I decided to stamp just the bag of chips, soda can and chocolate bar from the Video Boy image to decorate the inside, I colored this with Prismacolor pencils. 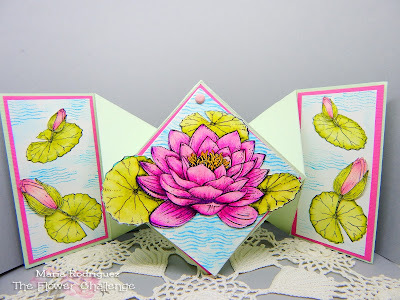 So, I hope you get inspired to join my teammates and me at the SHOPPING OUR STASH gallery, this challenge will help you create those masculine cards we all need at times. For more inspiration, visit my teammates blogs, you'll be happy you did. Hello everybody: Who doesn't love Fairies?? 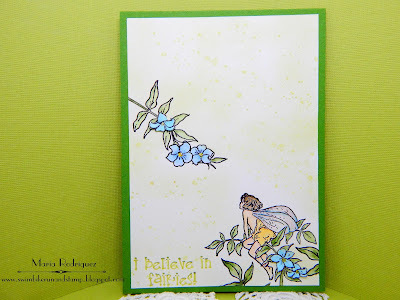 I know I do and, every time I make a Fairy card, I want to believe this magical, ethereal little creatures are out there, somewhere, unseen by humans, living happily on my flower beds and in the back yard's bushes and trees. This sweet image is from a stamp set called The Beauty of Jasmine from the collection "The Flower Fairies" by Cicely Mary Barker. I love all of these sweet and beautiful images. I stamped the flowers (I know Jasmine flowers are white or off white but I wanted a little splash of color) and the Fairy on water color paper with Versafine black ink and heat clear embossed it then colored it with SU markers. I sponged a bit of Shabby Shutters distress ink on the panel and stamped some dots with the retired SU set called "Gorgeous Grunge" I added Wink of Stella to the wings but, you know how hard it is to photograph this stuff. 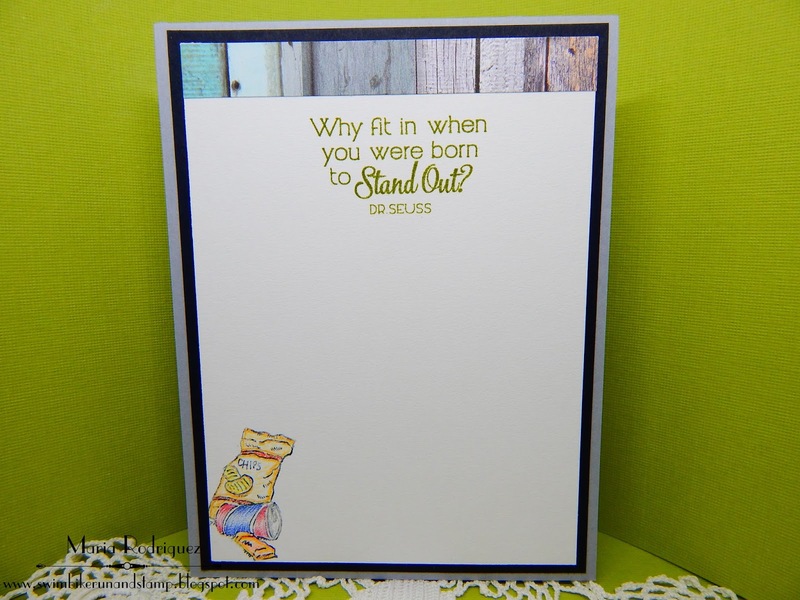 The sentiment is from a Kraftin Kimmie set. 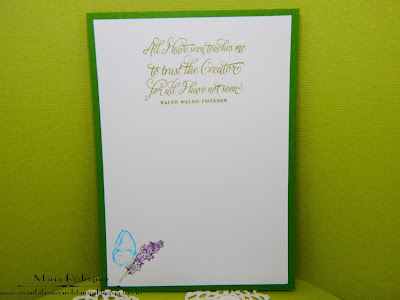 The sentiment is from a retired Flourishes set called "Orchids" and it's my favorite one to add to my Fairy cards, the sprig of Lavender and butterfly are from the Fairy set. Do-Al(l) Kreatives Challenge #16 "Pastel Colors"
Pink and Main Challenges #29 "Spring"
Sweet Stampers Challenge #19 "To Cute"
Thank you for stopping by, I always read every single message you so kindly leave on my posts, I want you to know I appreciate them more than words can express. 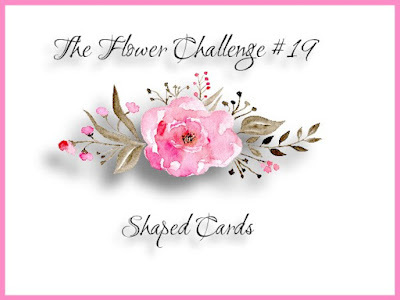 Hello dear blogging friends: This is a friendly reminder from THE FLOWER CHALLENGE, we are at the half point mark for the SHAPE CARDS CHALLENGE in which we are asking you to create cards with other fun shapes besides squares and rectangles. 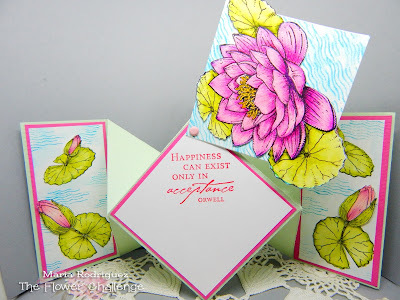 So this is my Designer Team card that I created using the diamond fold technique, following THIS VIDEO TUTORIAL I found on Linda Bauwin's blog called STAMPING WITH LINDA. This images are from a retired Flourishes set called "Water Lilies" and it's truly beautiful. I stamped the image on watercolor paper with Stazon black ink and colored it with Sakura Koi watercolors, SU markers and Prismacolor pencils. The sentiment is from the set. 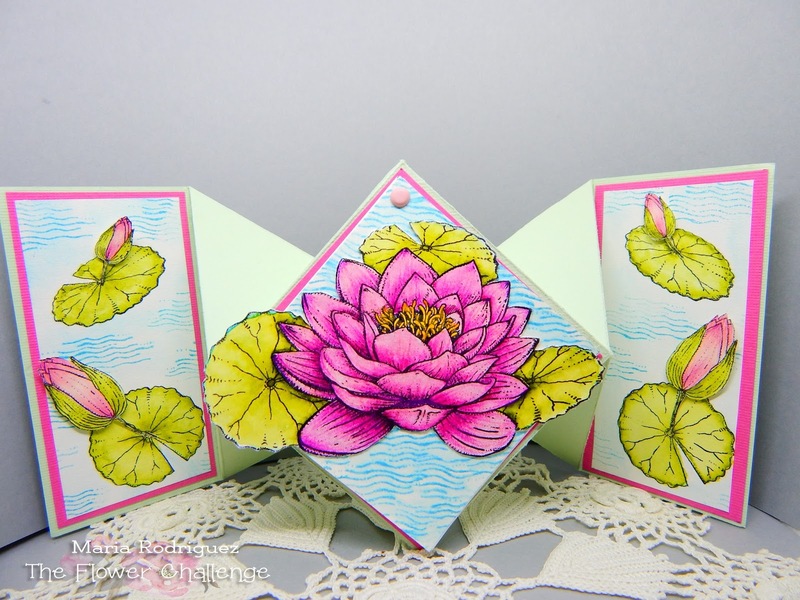 I stamped the big and small Lily Pads on the side panels and then, stamped the Lotus buds on scrap pieces of watercolor paper, colored them the same way and fussy cut them, propping them up with foam dimensionals. The brad holds this little door to the main panel so you just swing it open to read the sentiment. There is enough room in the "inside" panel to write a short little message. 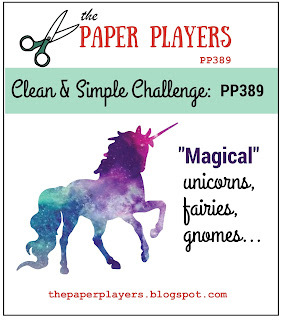 Quick Quotes Challenge #86 Theme "Include a Fold"
All Sorts Challenge Week #463 "Spring Flowers or Showers"
So there you have it, I hope this inspires you to come and play along with us at THE FLOWER CHALLENGE gallery, we can't wait to see what you create. 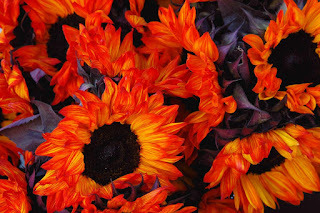 Please read our rules, remember FLOWERS should be the main focus on your cards. You can enter up to six challenges, including ours. 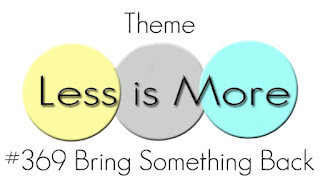 And please, add our banner to your blog post. Hello everyone: I have another simple Christmas card to add to my growing stash, I will play along with a few challenges at the end of this post. This image is from a 2013 WPLUS 9 set called WOODLAND WREATHS (out of stock at a the moment). I haven't used this set in a long while so I'm bringing it back from obscurity as well as some old Champagne color Rhine Stones (I had to pick the ones that are not loosing their color backing) and some pearls rarely used. 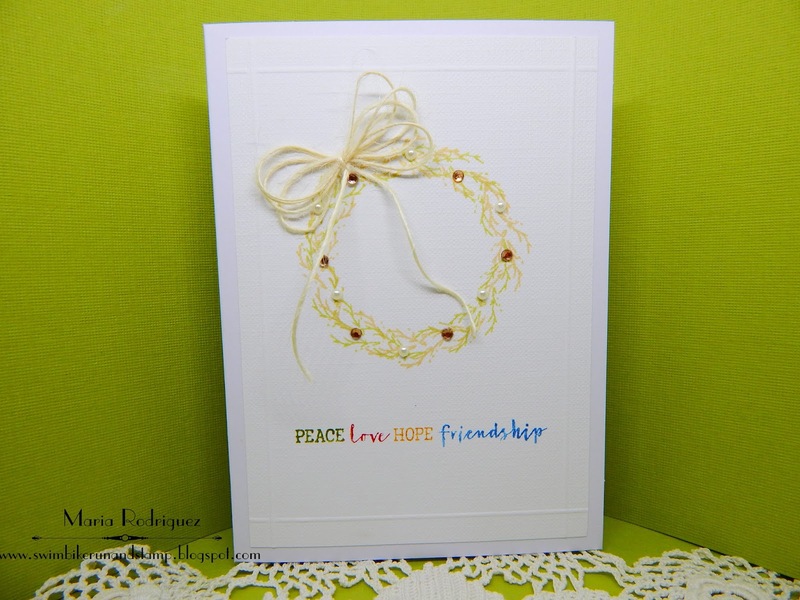 The twine is from my stash. 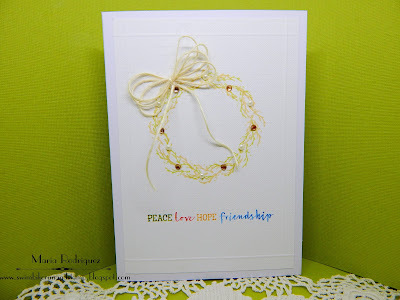 Super simple card, the sentiment is from a 2015 Power Poppy set called COZY CUPFULS. Here, I'm bringing back a retired 2013-2014 SU Christmas set called "Joy to the World", the pine needles and pine cones are from a Power Poppy set called MERRY LITTLES. 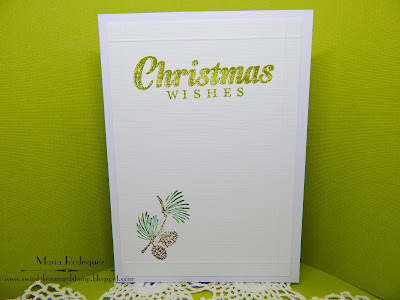 The Merry Christmas Challenge #15 "Anything Goes/optional theme Christmas Trees. 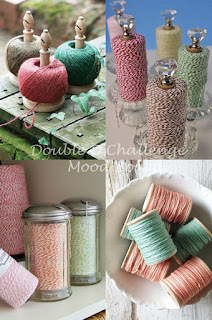 DOUBLE D CHALLENGE Theme "Twine"
Brown Sugar Challenge #277 Pearls or Mother's Day Theme.